The ink is hardly dry on the contract that we understand assures Roberto Di Matteo at least a two-year wage packet from Roman Abramovich’s deep, tailored pockets. 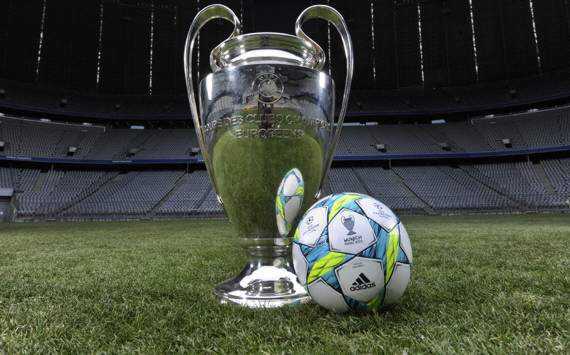 The press-men are tonight hastily sharpening their quills or finger-slamming their keyboards with their own particular view on this deal which after all the speculation of the past month has very nimbly and deftly silenced the critics and left them clawing the air for a new angle from which to attack the quiet Russian and his European Champions League winning team. With hindsight, the timing of the announcement and the appointment of RDM itself shows a level of wisdom and strategy that belies the general and jaundiced view of most journos and certainly the wider footballing public, retained still from those early days of ‘Comrade’ Abramovich’s reign. An era where his huge spending power caused a negative and xeno-soccophobic response from rival fans who questioned why a side wearing blue should now be able to buy the best players as Liverpool, Arsenal, Man U. and all successful teams always have. The footballing world has been so much quicker to accept and acknowledge the Arab sheiks commitment to the blue half of Manchester while Mr A’s strong and silent style of ownership still seems to evoke thoughts of a cold-war veteran moving through soccer’s underworld much like a John Le Carre character using ‘Moscow rules’ but in truth I can’t remember too many after-match interviews with the Glaziers, Sheik Mansour, Peter Hill-Wood or even Daniel Levy come to that. Roman’s chosen anonymity could be said to avert attention from what he does or doesn’t say, to what he actually does and if actions truly do speak louder than words then his undoubted ability to make ‘the‘ difficult decisions at critical moments would support a perception not of a ‘mysterious’ undercover agent but rather a tenacious competitor with a determination to be a winner at least on a scale to a previous employee and incumbent of the Stamford Bridge hot seat, Jose Mourinho who if the ‘jive’ is accurate is still a close friend of Roman and maybe even an adviser. Whether Roberto was Mr Abramovich’s 1st, 2nd or 3rd choice will continue to live in the realm of journalistic speculation or even the cloak and dagger espionage of ‘Roman’s People’ but as it’s all turned out, in the end Robbie could surely not have asked or expected any more. A two-year deal is apparently double what Roman’s assumed 1st preference Pep Guardiola worked under during his entire career at the Camp Nou, long before he took his sabbatical from footballs stresses and strains. Chelsea FC contracts have not given any great protection to previous starters on the merry-go-round that supports the particularly hot Stamford Bridge managerial berth but should Mr ‘A’ feel it necessary to terminate things before Robbie’s deal has run its course at least Robbie has the insurance of a reasonably substantial payoff equal to a pretty hefty win on the Euro-lottery. Roman surely owed him at least that for bringing home ‘ole big ears’ for the first time. Now, that all the fundamentals have been properly dealt with, what remains is the opportunity itself. An opportunity for Robbie, for Chelsea and for Roman which may now be clearly viewed. Robbie was given such a chance as stand-in coach when AVB left and he rose to the challenge splendidly and came up with the goods. The terms of his new contract and this new opportunity have both increased the expectancy on him to deliver but he is already familiar with working under such a remit and in many ways, to quote a much over-used maxim he must now just ‘keep calm and carry on’. Ruling a line under what he has achieved already at the club Robbie can start again from an intrinsically better position having laid his own foundation. It seems clear from the start of this new chapter in both manager and the club’s story that the name of Guardiola will not disappear or fade anytime soon and probably will not be erased completely until Pep returns to coaching somewhere else. Robbie will need to get used to being viewed by pundits and the press as a babysitter awaiting Romans 1st choice and should the team suffer any poor form or an early exit from either Champions League or Premier League contention then the vultures will no doubt gather, whispering Guardiola’s name. 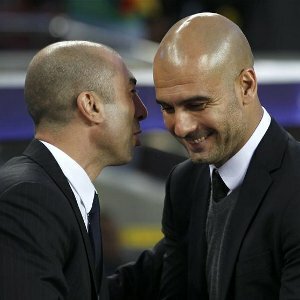 Roberto Di Matteo is actually 8 months Pep Guardiola’s senior despite having finished his career 4 years earlier due to a horrific triple leg break in a European game in Switzerland, yet their managerial careers are of virtually identical length with Pep beginning as 1st team coach at Barca on June 21, 2008 and Robbie starting out at Milton Keynes Dons just 1 week later. Pep had 4 successful seasons with the Catalonians while Robbie has worked with mixed results at the Dons, West Bromwich and Chelsea. Their achievements were distinctly dissimilar, that is until Di Matteo succeeded in securing Chelsea’s 1st Champions League alongside his 1st FA Cup success, something Pep also accomplished at Barca in his 1st season. Altogether, Guardiola’s Barcelona won 2 Champions Leagues, 3 La Ligas and 2 Copa del Ray, 2 UEFA Super Cups and 2 FIFA Club World Cups. Robbie’s only other success was as Championship Runners Up with West Bromwich which earned them a promotion to the Premier League but opportunities for major success are obviously dictated to by the resources of the club you are with. Milton Keynes and West Bromwich will not be amassing too many Champions League or Premier League titles anytime soon. The real reason Guardiola has risen to such world-wide fame in such a short time has more to do with the ‘style’ of play he has encouraged. The passing game – the beautiful game where players with finesse and skill pass and move and players like Lionel Messi, Xavi and Iniesta show the finer elements of a possession game where the opposition struggle to keep or retain the ball. This is what has attracted admiration and copycat tactics the world over and this is what Roman Abramovich had no doubt decided was the type of football he enjoyed watching and quite fancied down at ‘the Bridge’. Di Matteo’s ‘start from the bottom and work up’ resumé holds water however on many levels that Pep’s ‘born with a silver spoon in his mouth’ CV maybe does not. Has PG had to work at football’s gutsy end juggling with a budget that wouldn’t pay Barcelona’s laundry bill? Has he put together a Championship outfit who actually ‘played’ their way back into the worlds Premier League Championship? Has he had to suffer the ignominy of being sacked and then humbly accepted a support role? Has he worked with an ‘out of focus’, apparently ageing and temperamental group of underperforming prima donnas and led them to the very top of the tree? Has Guardiola the tactical know-how and experience of the English game and certainly a far tougher and more competitive League than La Liga with its many flaky defenses and questionable attitudes? 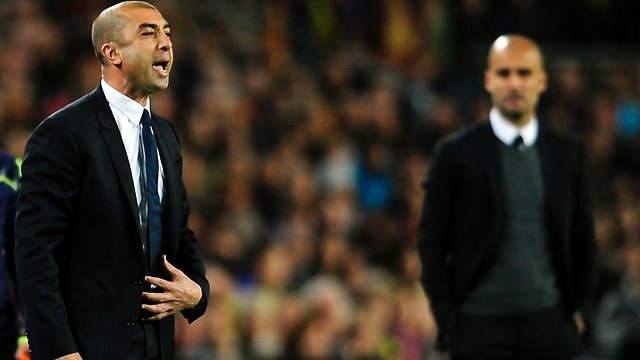 Has Guardiola ever had to work under the pressure of RDM’s past few months or had to relinquish his preferred tactics to benefit the team and still bring home the bacon? To my mind Robbie’s CV has certain qualities I do not find when analysing the Barca supremo’s back catalogue, entertaining as his teams certainly always have been. 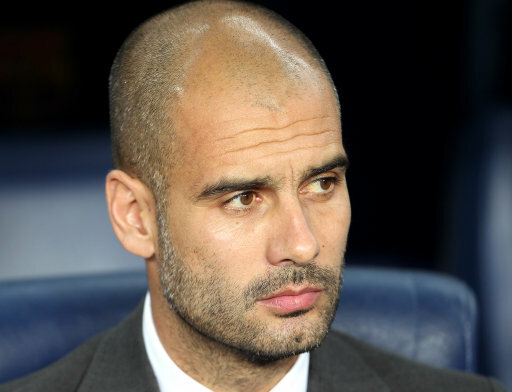 Guardiola has walked away from the game he purports to love apparently suffering from ‘burn out’. Excuse me, after 4 years!? … Haven’t seen Ferguson, Mourinho, Capello or many of the other supposed greats of football management complaining too much about ‘burn out’. Or David Moyes, Martin O’Neill, Arsene Wenger, Claudio Rainieri and a whole host of guys managing at a lot lower level and with a lot more stress than Peppy has had to deal with. Pressure, stress, ‘burn out’ – give me a break. O that’s actually what Pep asked for?! Roberto Di Matteo despite his continental name and background has lived, worked and loved in the UK since he came to Chelsea as a Ruud Gullit signing, for a then club record £4.9 million way back in 1996. He married an English girl and they are raising a family. He has a ‘true blue’ history scoring two FA Cup winning goals for the ‘blues’ at the old Wembley and playing 119 times for the club before that tragic injury cut his career short. He has taken Chelsea to a European Champions League Final against all the odds and in the home of the beaten finalists he carved his name into Chelsea history forever. 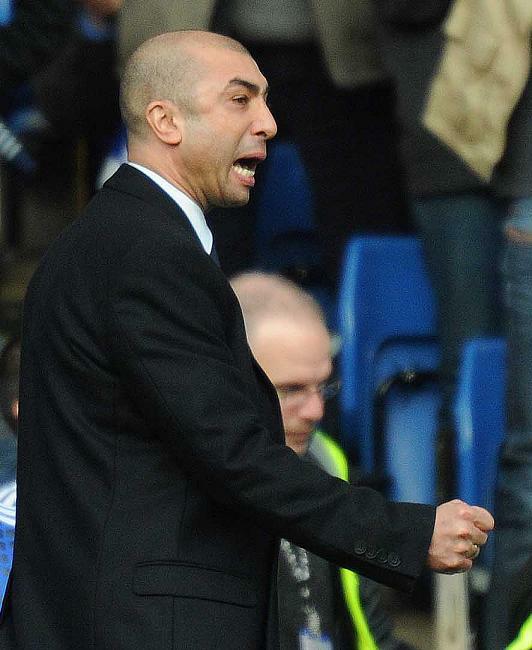 The story of Robbie Di Matteo and Chelsea still could continue to be the stuff of fairytales and legend for many, many years to come. Perhaps Robbie could build that ‘dynasty’ at Chelsea that José walked away from. 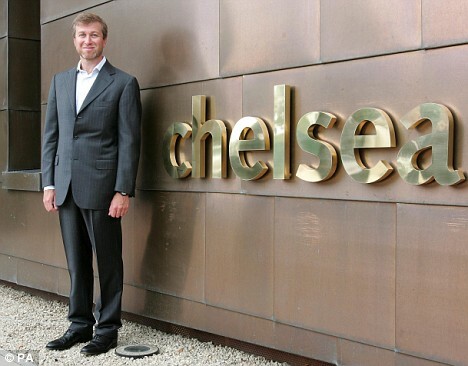 Roman Abramovich, despite continued and immense criticism and suspicion continues to make brave football decisions and for me deserves all the success he has brought to our club. He has contributed to football’s economy and tradition worldwide and now he has given ‘our Robbie’ the chance to become the new ‘Guardiola’. 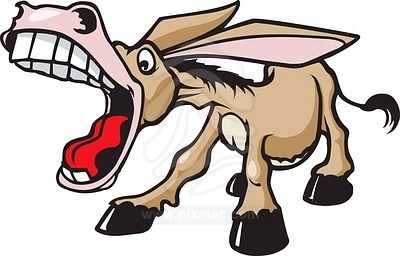 I for one will be hoping ‘us fans’ will get behind him and the team to see if the fairytale can continue and Robbie can collect a list of honours for Chelsea longer than Mourinho’s, longer than Pep’s was at Barcelona and longer than the arm of one Roberto Di Matteo. This entry was posted in EDEN'S VIEW and tagged ABRAMOVICH, CHAMPIONS LEAGUE, DAVID MOYES, DI MATTEO, john le carre, MOURINHO, old big ears, sheik mansour, STAMFORD BRIDGE, VILLAS BOAS. Bookmark the permalink.